The Klinkhammer Extreme is an excellent modern fly whose body hangs temptingly just under the surface film using the natural buoyancy of six CDC feathers. Thorax : Black tying silk. Wing cases : Strip of red holographic tinsel on each side. Shuttle : 6-7 white CDC plumes. Cover the whole fly with varnish or superglue, keeping CDC, eye, barb and point clear. 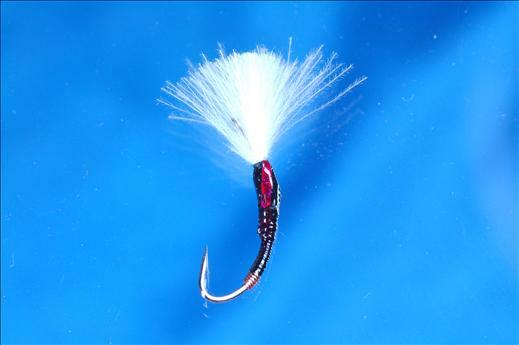 Currently there are no comments about the Klinkhammer Extreme fly pattern from other fly fishermen yet.